The latest touchscreens and advertising displays for purchase, at the most competitive prices. If you can’t find the touchscreen rental you’re looking for, or think an outright purchase might be the better option, check out our sister brand Polished Rock. 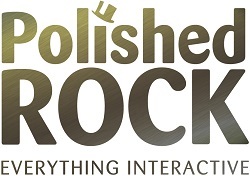 Polished Rock provides the latest touchscreens to buy, from 10″-84″. From cost-effective touch whiteboards, to the latest giant-tablet style touchscreens, Polished Rock stocks a full range of touchscreens to buy. And it’s not just touchscreens. There’s a wide variety of advertising displays and large-format monitors, perfect for public facing digital signage. As well as touchscreens to buy, there’s also floor stands, desktop stands, table stands and wall mounts for touchscreen and non-touch displays. Visit Polished Rock to view the full product list.